Deb is our store manager. She has been with us for a while and she is a very valuable addition to the LK family. She is painfully shy until she gets to know someone. But when it gets down to making sure things get done that shyness turns into a fierce determination full of snarky sense of humor. If you have ever been to our store you would have met her, she is the red-headed amazon who cranks up the AC such that all the hair on my arms stand at a 90 degree angle. Yes, Deb likes it cold and enjoys the semi-darkness that surrounds us in Seattle most of the year. We have come to the rather obvious conclusion that Deb is a vampire! We are thankful that Deb prefers coffee to blood any day, most us are anemic as it is. If you want to see Deb smile, watch her exactly 17 minutes after consumption of coffee, that is when you will see the first hint of smile in her face. Deb is a somewhat obsessed lace knitter and a designer. She is one of the few knitters I personally know who prefers straight needles to circulars and she is completely self-taught. Don’t leave any rich greens or deep amber hues around her as you will see it added to her stash immediately. I have to mention that Deb makes lovely knitting-jewelry some of which is in my possession. 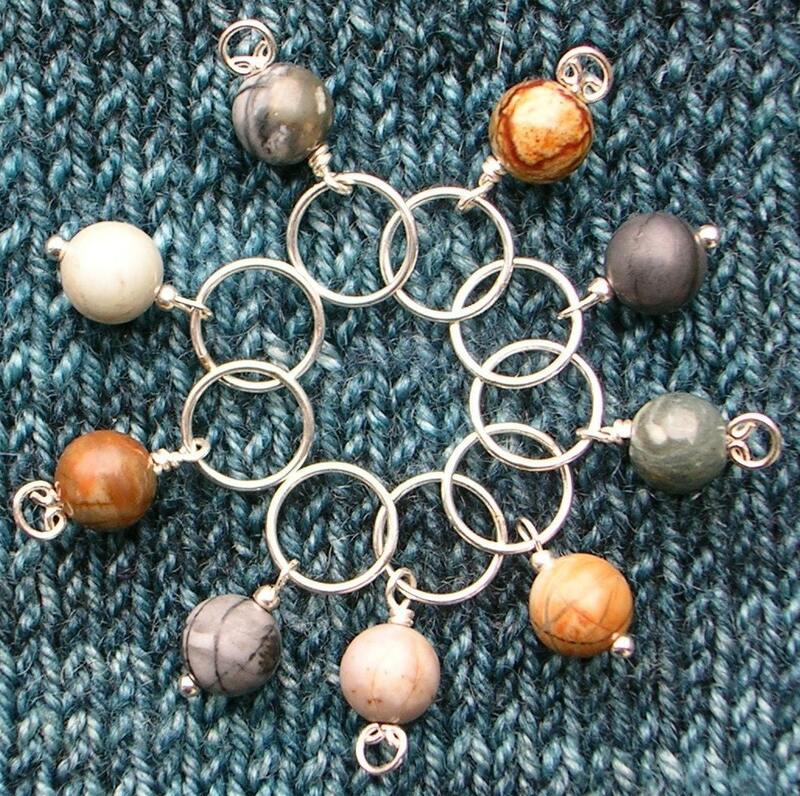 You can see Deb’s patterns and knitting-jewelry on Etsy. Deb is also a musician with a degree from the University of Idaho. Before I met Deb I knew very little of about the bassoon. She plays it and gives lessons to those who would like to play it and/or play it well. Deb’s bassoon has a name, Victor. I think she named it after one of her Russian x-boyfriends. Deb also likes nurturing bonsai trees. But Deb is most nurturing and loving about her beloved dog and cat, who are very good friends. Muggins is probably the shyest dog I have ever met thanks to a bad rabies shot he was given. This also makes him endearing and cute all at the same time especially after he warms up and stops being so shy. In a perfect irony Muggins is great friends with the super-bad-boy Rufus who thinks Muggins is his furry toy that he can slap around when he feels like it. Needless to say Deb is super maternal and protective of her babies and spoils them rotten. Deb bakes great doggie cookies and have shared them with my furry baby Rontoo and I can tell you that they were well received. So, next time you see Deb’s signature in one of your boxes you will know the person who wrote the note. And, if you come into the store make sure to guard your neck well and bring a cup of java as a distraction and you will have her in the palm of your hand.